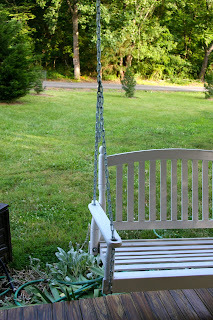 Last night I replace the ugly, plastic-coated chain on my porch swing with rope. I feel like a thief, the way I take advantage of others creativity. Almost all of my ideas are borrowed from other blogs. Here is my swing with chain. I bought the rope at Lowes, I think it was 5/8" thick. It was 57 cents a foot and I bought 40 feet. I spent some time adjusting the knots to get them even, but even so, it only took about 30 minutes. Reminder to self : Make sure faces are clean before posing for pictures. I LOVE it! Thinkin' I need to do mine like that. Love the poses of big sister,dirty faces just add some charm:)! 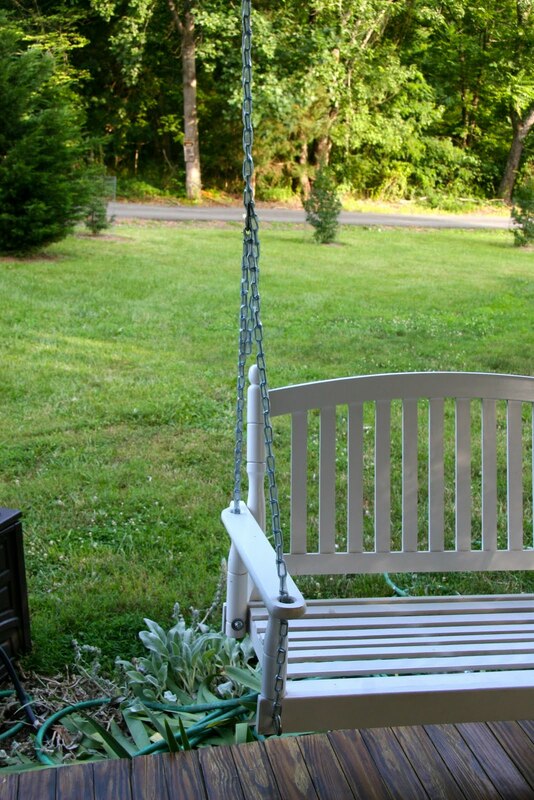 The swing looks really neat too. Your swing looks so neat. I would love to come have an iced latte on it! Love the first picture of Big Sister...dirty face and all. Ohhh! Your swing looks so pretty!! So funny that we have exactly the same swing. Looks great, and I bet it's very relaxing.